Whether you are married with no children, married with children, a single-parent, an empty-nester or still living at home, one thing is for certain: Cooking together as a family has some amazing benefits. We both have very fond memories cooking with our great-grandparents, grandparents, and our own parents that we’ve been able to bring into our own family. Cooking together is a huge part of our family’s DNA and we encourage other families to cook together as often as possible. You won’t regret it! We have found over the years of cooking with our own grandparents, parents, and now our own children, that there is a special kind of unity that flows while in the kitchen together. From reminiscing about good times to praying together during the bad times, there is always an increased sense of family unity while preparing food together. From picking out the recipes to planning the grocery list to cooking and getting the food on the table – cooking together is a wonderful time to connect with your family. Whether a tiny 1-year-old baby only able to dump in spices or mix ingredients or a 17-year-old hungry boy – your children will appreciate the time that they are able to spend with you in this way. We have noticed that when the children have the chance to be a part of the “process” of putting food on the table, they are less likely to complain. We have also watched them have an appreciation for the provision of food that God provides as well as the actual facility (our kitchen) He has provided in which to cook. This doesn’t just apply to learning how to cook, it applies to life lessons in general. There have been countless times that we have cooked with our children and had the chance to talk with them about valuable life lessons. For instance, we just had a conversation with our 12-year-old daughter while preparing some vegetarian burritos last night about how much of a farce the entire fashion industry is. She had an “aha” moment right there in the kitchen while cutting up vegetables and preparing to saute them. And that is just one of thousands and thousands of opportunities we will have to speak into her precious heart during our time cooking together. This has to be one of our favorite by-products of cooking and baking together. A prime example of this occurred over the Christmas season. 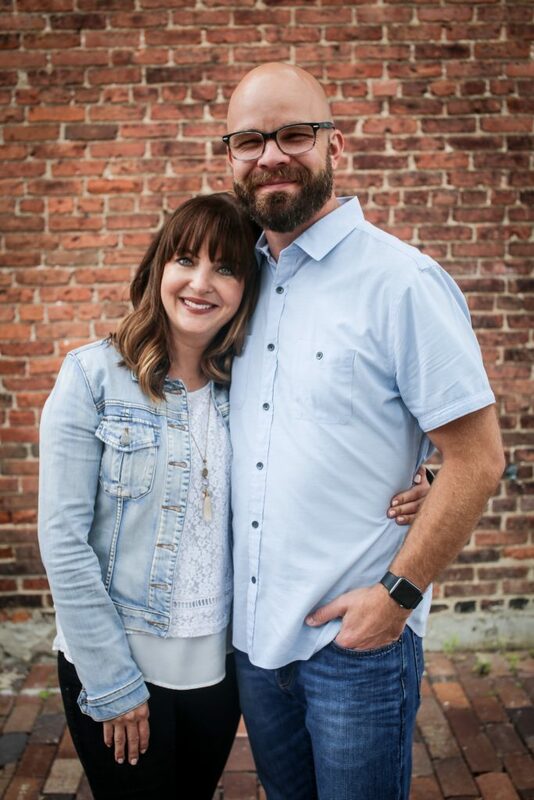 We recently moved back to the United States from living overseas and were excited to make some new advent traditions serving others in our local area. As a result, we found ourselves spending many days in the kitchen as a family baking all sorts of goodies for our food-challenged community, local police, firemen, Sunday School teachers, gymnastics coaches, Karate Sensei’s and the list goes on and on. 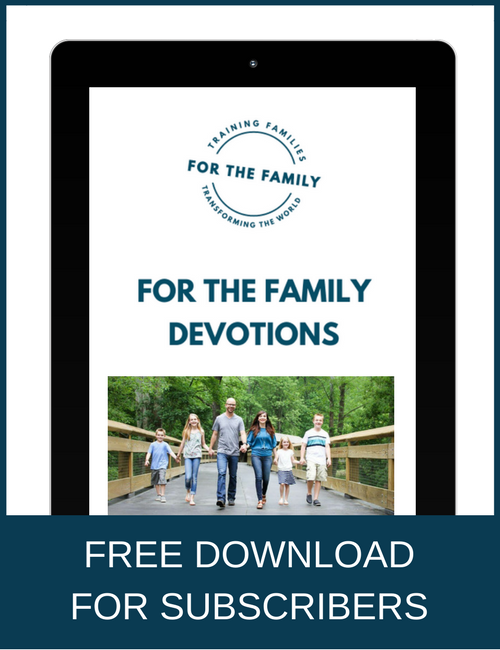 This was a great source of memories for the children that allowed them to be the hands and feet of Jesus – spreading joy to many who were not expecting to receive it. Our 6-year-old son told us, “I am so happy that we could cook so much together making treats for our friends. I will never ever forget it.” That is the type of beautiful memory that cannot be replaced. We know that not everyone can cook together as often as we do, but we challenge you to cook together more often this year than you did last year. No matter the age of your children, you can find a job suitable for them. Even if your baby’s only job is to look “cute” then it is well-served time together. Even if your teen just sits at the counter talking with you as you cook, it is still a great opportunity to love and connect with them. Make it count and always appreciate the time you have together with your family – as every single second we have together is a gift from God. 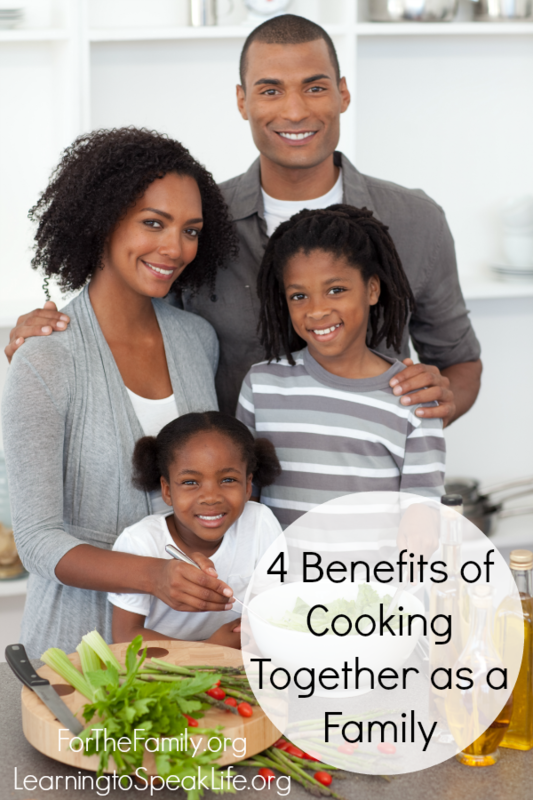 What are some ways that cooking together has benefited your family? Share with us in the comments below! I really appreciated reading your thoughts about cooking with the family. I absolutely love to be in the kitchen with my children. We get so much joy and bonding from cooking…well, truthfully with them it’s usually baking something sweet…together. And I love my hubby and I are working together to prepare a meal. He loves to grill out and runs the BBQ while I handle the side dishes. We do a lot of laughing and talking together as a family while in the kitchen and while at the dinner table. 🙂 They are truly a gift to me. Amen Rosann! We are so blessed to see families that understand the real bonding time that can occur during our time spent in the kitchen! Thank God for giving us the ability to bond in all areas of our lives 🙂 Have a wonderful day! !